I’m sure why that these biscuits are called “gold nugget” biscuits but I do have a wild guess. This recipe is from s fantastic recipe booklet called Simply Sourdough, The Alaskan Way by Kathy Doogan. My guess is that since this recipe is from or at least originated in Alaska, the biscuits were most likely called “gold nuggets” by the gold miners that went to Alaska to pan for gold in the 1800’s. Plus, gold nugget biscuits look like gold nuggets! 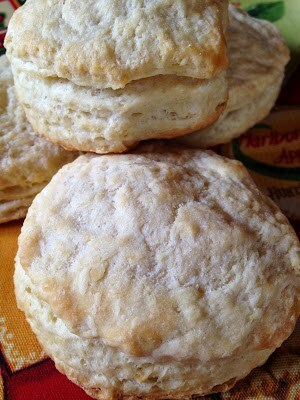 Serve these delicious biscuits with a big bowl of your favorite chili, stew or soup. These wonderful biscuits are light, flaky, delicious and have a nice sourdough taste. 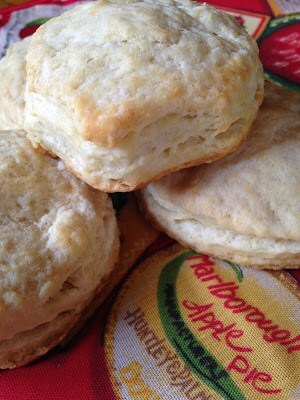 Enjoy these biscuits warm, with your favorite jam or jelly, butter and honey. 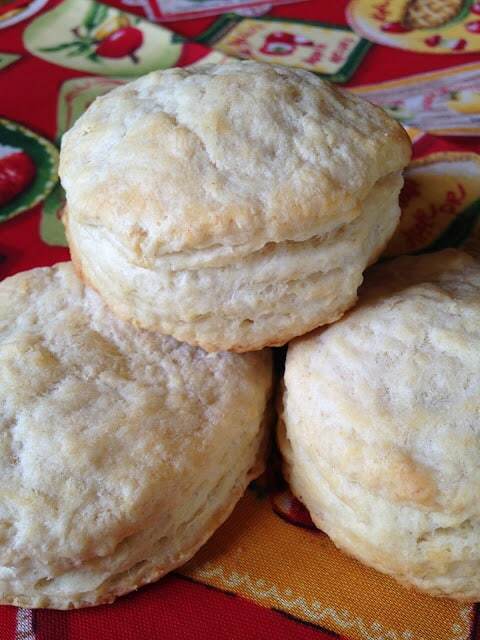 Try these delicious biscuits with gravy too. Anyway you like to eat biscuits, it’s all good! In a medium bowl, combine the flour, soda, salt and baking powder. Cut in butter with pastry blender until mixture resembles coarse meal. Sourdough Irish Soda Bread is definitely a recipe you’ll want to serve on St. Patrick’s Day. This recipe is from the book; Simply Sourdough, The Alaska Way by Kathy Doogan. Healthy Note: Buttermilk is a low-fat addition that makes dishes, such as mashed potatoes fluffier.